World’s Longest Yard Sale… What’s It Like? Thinking about going to the world’s longest yard sale? Here’s a review, so you’ll know what to expect and how to make the most of your trip! Freecycle makes it possible to Give and Get some pretty neat stuff… for FREE! Here’s how Freecycle works. Freecycle: What Do You Want? What Have You Got? Freecycle is a great place to find free stuff AND a great place to give away free stuff. Here’s how to find a Freecycle group in your area. These small square plates have a handled that’s molded out of the same thick plate-material that Corning uses in their best products. 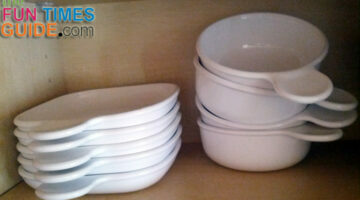 I’m not crazy about the thinner Corningware plates and dishes. Here are my favorite home and organization magazines. 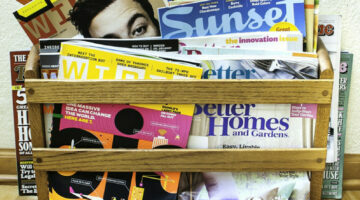 Some are women’s magazines, but most are specifically related to home improvement and new home design. These are playing a big role in the process of building our new log home. Following are pictures of some of the most unique candles and candle holders that would make great gifts — for yourself or a friend.